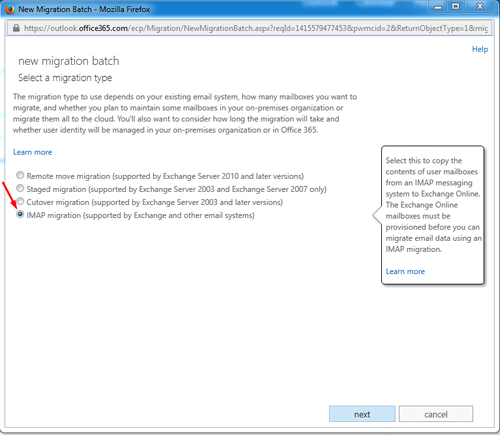 Here are the the steps to migrate from Gmail to Office 365 (Exchange Online). This process also applies to any other IMAP provider. 2. 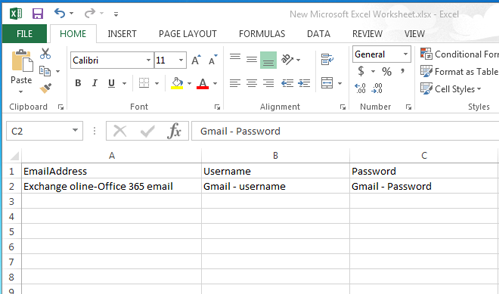 Login to Office 365 (Exchange Online) admin panel and select Exchange from the admin tab. 3. Click on recipients from the left pane, select migration tab, click the Plus drop-down button to select Migration to Exchange Online option from the drop down menu. 4. 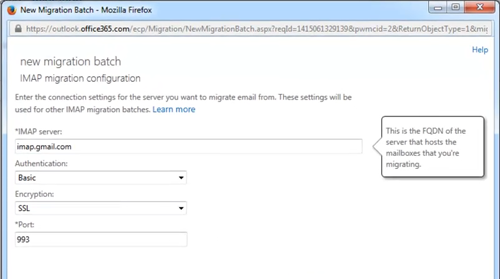 To migrate from Gmail or any other IMAP provider to Exchange online we need to Choose IMAP migration from the list of options and click next. 5. Browse to select the CSV file you created that contains the Gmail information and click next. 6. Enter Gmail’s IMAP server FQDN. The default IMAP server is imap.gmail.com it’ll auto complete the remaining information and click next. 7. By default is going to use the CSV name as batch name. You can change it if you like to something other than the batch name acquired and click next. 8. 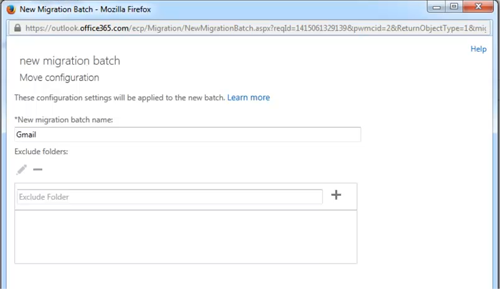 You can select to send a migration status report to the user or admin. Also make sure to mark Automatically under preferred option to start the batch and click next. 9. You’ll see the migration status as ‘syncing’. the process might take a while depending on the mailbox size. Once the migration is completed the status will change to ‘synced’. Admin or user will receive a full migration report detailing its completion.